This family-friendly Main Beach hotel is located on the waterfront, within a 15-minute walk of Philip Park and Sea World. Sand Pumping Jetty and Marina Mirage Shopping Centre are also within 1 mi (2 km). 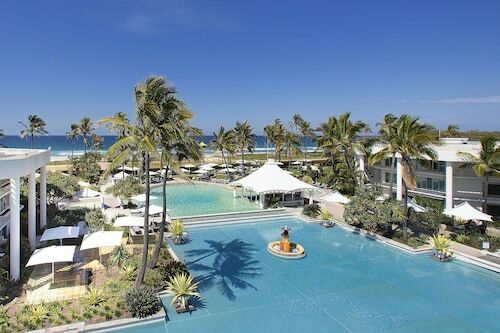 This Gold Coast luxury hotel is situated on The Spit, with the calm Broadwater on one side and the ocean on the other. The Marina Mirage shopping-and-dining destination is adjacent; Sea World is 1 km away. Situated on the boardwalk, this luxury apartment building is within 2 mi (3 km) of Tedder Avenue, Sea World, and Chevron Renaissance. Cavill Avenue and Slingshot are also within 2 mi (3 km). Located in the heart of Main Beach, this luxury apartment building is within 1 mi (2 km) of Tedder Avenue, Slingshot, and Infinity Attraction. Chevron Renaissance and Cavill Avenue are also within 2 mi (3 km). Nestled on the beach, this Main Beach apartment building is within 2 mi (3 km) of Tedder Avenue, Sea World, and Chevron Renaissance. 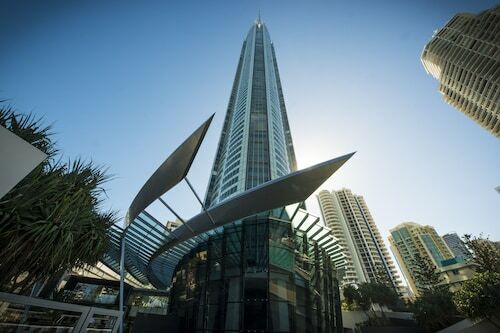 Cavill Avenue and Surfers Paradise Beach are also within 2 mi (3 km). Home to one of the most spectacular beaches on the Gold Coast, Main Beach is the trendiest suburb in the region. Book your hotel in Main Beach with us today and enjoy the fantastic restaurants, shopping and beautiful parks and beaches! 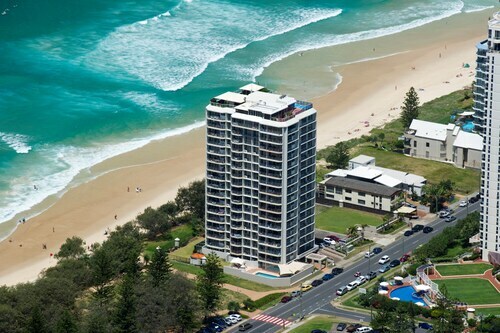 Main Beach is just north of Surfers Paradise, and as the name implies, the biggest attraction is, of course, the beach! The clear, blue waters are perfect for swimming and surfing, and anglers can cast a line to fish for their dinner. The beachfront park is green and grassy, with barbeques ready to fire up for lunch and plenty of space for you to toss a football around in the afternoon. If you don't fancy cooking, don't worry - some of the Gold Coast's best restaurants and cafes line Tedder Avenue. Grab a coffee or a glass of wine and relax with awesome live music and award-winning al fresco dining. 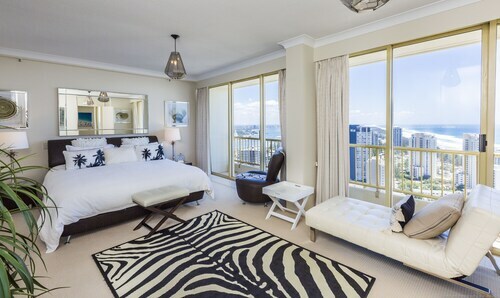 Main Beach's casually chic lifestyle draws a wide crowd, from the quietly wealthy to the loudly rich. Enjoy the atmosphere with your friends and family, while dining on great food and watching people and luxury cars roll by. Just north of Main Beach is the Spit, a sandbar dividing the Broadwater and the Pacific Ocean. Great surf breaks line the beach, and divers can take a trip out to the Scottish Prince shipwreck just offshore. It's a haven for crayfish and tropical fish, and you may even catch a glimpse of a leopard shark as you explore the hull. 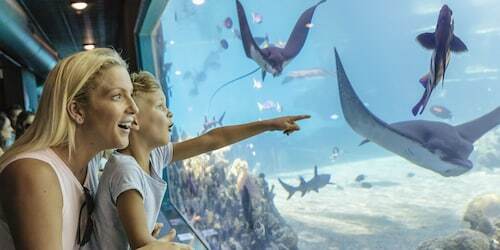 Sea World is a must for every itinerary, a theme park, oceanarium and marine mammal park all rolled into one. Swim with dolphins or sneak a peek into the lives of the only polar bears in Australia. 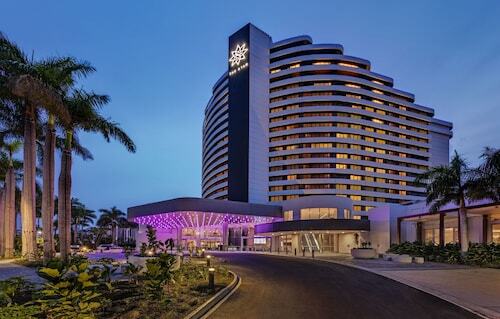 Why not take some time out and visit one of the most sophisticated holiday destinations on the Gold Coast? Main Beach is a perfect getaway if you are looking for great surfing, fantastic food, shopping or simply just a short weekend away. 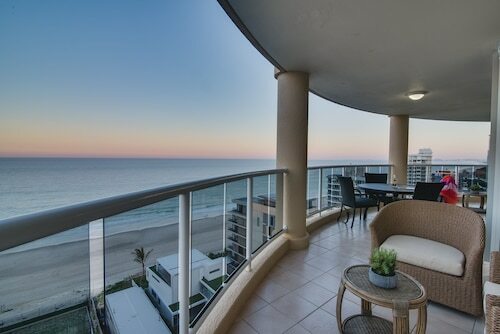 Book from our range of Main Beach accommodation - including family-friendly accommodation and accommodation for more than four people – as well as flights to Brisbane and come live the high life today! Need insider tips on must-see attractions in Main Beach? Check out our Main Beach travel guide! How Much is a Hotel Room in Main Beach? Hotels in Main Beach start at AU$154 per night. Prices and availability subject to change. Additional terms may apply.